The no-grain diet is becoming all the rage across America, but could we be unfairly overlooking the health benefits of our “amber waves of grain” simply because of all of the unsavory things that we’ve done to our bread in the name of profit? Michael Pollan, author of the best-selling books ‘In Defense of Food,’ ‘Cooked: A Natural History of Transformation’and others, has said before that getting more whole grains in our diet is the number one thing Americans can do to improve their health, and he’s an extremely well-read and highly respected voice in the growing natural food movement. At the same time, many others would vehemently disagree with this assertion. So, where does the truth lie on bread and grains? That may depend on your individual genetics, body type, environment and many other factors. But one thing’s for sure: our bread just ain’t what it used to be. Even if your bread looks “artisan,” it may still contain mutated wheat or GMOs. 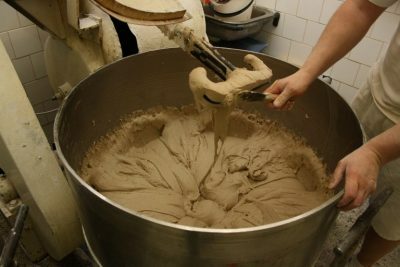 Past bread making techniques took time, but now, most companies use a variety of chemical dough conditioners to expedite the process. Subway was called out for using the infamous “yoga mat chemical” azodicarbonamide by Vani Hari, aka the Food Babe, which resulted in a PR nightmare and a pledge to remove them. Many majority of all supermarket breads still likely contain this highly controversial chemical, however, and that’s just the tip of the iceberg. Other dough conditioners including DATEM, sodium stearoyl lactylate, ammonium chloride, monoglycerides, diglycerides and others have all been linked to health problems of their own. In many indigenous cultures, bread-making takes time. 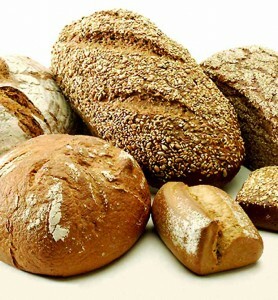 The process may including hulling, milling, and/or fermenting the bread in order to remove as many anti-nutrients as possible and to make it more suitable for consumption. Many of the world’s longest living cultures use these processes, as detailed in the book ’50 Secrets of the World’s Longest Living People’ by Sally Beare, and bread makes up a large portion of their diets. They seem to be doing just fine. More than just fine, actually. A large percentage of the breads on store shelves also contain unnecessary genetically engineered ingredients such as soybean oil, canola oil, beet sugar (this is labeled simply as “sugar” on the package and most beet sugar is genetically modified in the U.S.), and more. Thankfully, GM wheat hasn’t been adopted commercially yet (but be careful as it could be adopted in the near future). Most people aren’t aware of the process of mutagenesis, but it may be just as hazardous (or even worse) to your health. The process involves using chemical mutagens including radiation to breed crops, producing new traits that cannot be found in nature, and was detailed in the best-selling book ‘Wheat Belly’ by Dr. William Davis. It’s not known exactly how much wheat is grown through mutagenesis, but the company BASF for example has over 1 million acres currently growing of its own herbicide-resistant (sounds an awful lot like GMOs doesn’t it?) ‘Clearfield’ wheat growing in the U.S.
As noted in this article, the majority of wheat is processed into 60% extraction bleached white flour, so 40% of the original wheat is removed, including the most nutrient-rich parts. When you already have a wheat crop that’s been hybridized or even mutated, the result can be a product so overly processed and unhealthy that it no longer bears any resemblance to the kind of real bread that has nourished us for generations. Preservatives are rampant in bread, but did you know that high fructose corn syrup is as well? One study reported on in the Washington Post even showed that many commercial products with HFCS contain mercury. The corn syrup is used not only as a sweetener but also to give the bread a softer texture, and a longer shelf-life. That’s the bad news, of course. The good news? All of the additives and overprocessing might be the reason why these breads end up finding a permanent home on store shelves, ironically enough. Let’s all make it happen and vote with our dollars from now on. Ideally, there would be a chain of true artisan bread makers fermenting and creating real bread that we can all enjoy. But for now, do the best you can by buying organic bread whenever possible. In addition, various types of ancient grain breads made from spelt, einkorn, kamut and others are excellent alternatives that are typically lower in gluten than modern wheat. Organic sourdough bread may be best for people on a gluten-free diet, however.